Latanoprost (Xalatan®), bimatoprost (Lumigan®), travoprost (Travatan®) and unoprostone isopropyl (Resula®) are four recently approved prostaglandin analogs used ophthalmically for the treatment of glaucoma. The use of prostaglandins and their analogs for the treatment of glaucoma derives from the observation in the 1970s that at low doses prostaglandins lowered intraocular pressure (IOP) while at higher doses IOP was raised (Bito et al., 1983, 1987; Lee et al., 1988). Prostaglandins themselves were also shown to cause significant hyperemia and irritation. 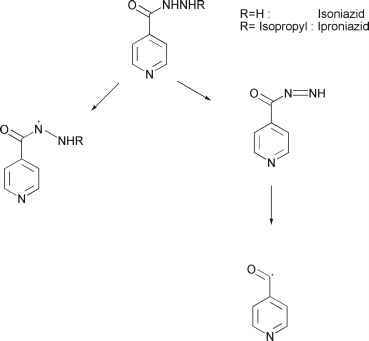 In an effort to separate the activity from toxicity various prostaglandin analogs were prepared, however, the carboxylic acid forms of these agents proved ophthalmically less clinically effective until converted to either their isopropyl ester form (travoprost, unoprostone isopropyl and latanoprost) or their ethanolamine amide (bimatoprost). The FDA approved Latanoprost in 1996 while the other prodrugs were approved more recently. The three isopropyl ester derivatives are clearly prodrugs and are readily converted to the parent prostaglandin analog in the cornea by the action of esterases present in corneal tissue to release isopropyl alcohol and the parent drug. For a time it was uncertain whether bimatoprost, as an N-ethyl amide, was behaving as a prodrug but studies by Maxey et al. (2002) and Hellberg et al. (2003) did show hydrolysis in ocular tissues while Sharif et al. (2003) showed that bimatoprost acid was a prostanoid FP receptor agonist. The byproducts of bioconversion are isopropyl alcohol for the three ester prodrugs and ethanolamine for bimatoprost. Both of these byproducts appear to be safe and well tolerated. Improved corneal permeation and safety were the non-drugable properties addressed by these prodrugs. In their carboxylate form they are both poorly permeable and more irritating than their prodrug forms. Thus the prodrugs offered an improved therapeutic index compared to their parent molecules. Many antivirals of the nucleoside type are polar and poorly permeate the GIT. Two recent examples are tenofovir and adefovir. As phosphonates, these antivirals are very polar exhibiting oral bioavailabilities of less than 5% in their non-prodrug forms. Tenofovir was first evaluated as its bis-pivaloyloxymethyl ester but found to have some side effects that were felt to be caused by carnitine depletion due to the pivalic acid promoiety (Brass, 2002). A series of carbonate bis-esters (Shaw et al. 1997) were found to be superior with tenofovir disoproxil, fumarate salt (Viread®), being chosen as the prodrug of choice for further clinical testing. Cleavage of the prodrug results in the formation of two moles each of carbon dioxide, formaldehyde and isopropyl alcohol. The conventional wisdom is that the first phosphonate protecting-group is cleaved via the action of esterase enzymes at the isopropyl carbonate linkage resulting in the monoester intermediate. Cleavage of the second group is probably via a combination of esterase and phosphodiesterase activity. Animal species differences were seen in tenofovir availability from its prodrugs but human availability appears to be adequate and dose independent (Kearney et al. 2004). Tenofovir disoproxil was recently approved and is now one of the top-selling anti-AIDs drugs on the market.